Open chromatin must be compacted into distinct chromosomes during mitosis. 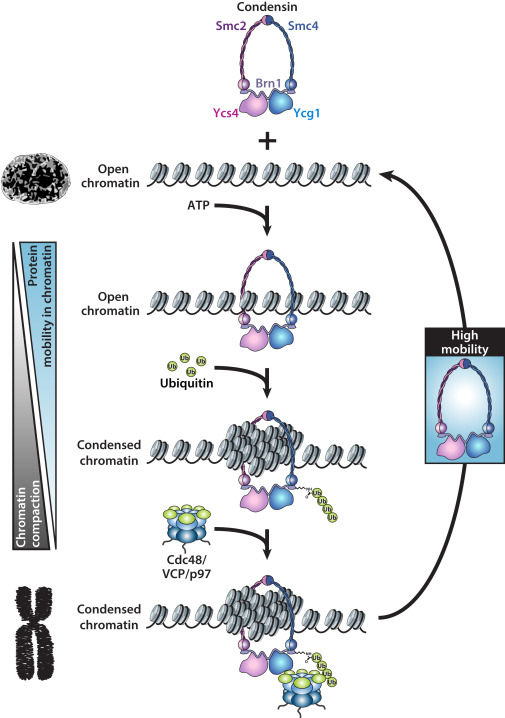 Chromatin compaction is largely performed by the ring-shaped enzyme complex condensin which is so good at compacting chromatin that it has a tendency to trap itself within chromatin. However condensin is a highly mobile complex; which begs the question: how does condensin free it self from chromatin?